Fairview, NC Heating and Air Conditioning Services by Comfort Central, Inc.
Ductless heat pump tune up. Your home needs a high quality heating system if you live in Fairview, NC, plain and simple. Winters can get pretty harsh, and your comfort will be compromised if you cannot depend on your heater for consistent heating power. Whether you need a heat pump installation, boiler repair service or want to schedule furnace maintenance, call Comfort Central. Our home heating experts have the answers and solutions you need to heat your home in the most efficient, reliable way possible. Schedule services today to make it through the winter without discomfort in Fairview. 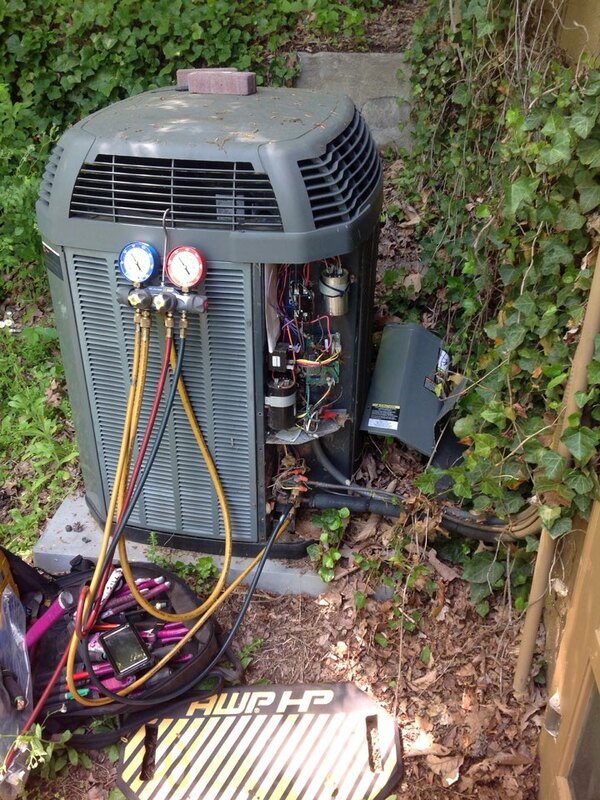 Your air conditioner is one of the most important things that you own in Fairview, NC. Do not put its performance or dependability at risk. Let Comfort Central handle your air conditioner installation, maintenance and repair services to ensure that you get the best, most efficient operation from your AC possible. Protect your home from the heat this cooling season. Let our professional service technicians know when you are ready for exceptional air conditioning system services. There are a lot of air quality problems that you may experience in your home. Luckily, Comfort Central has a lot of potential solutions to these problems. From great air filters and air purifiers to professional duct sealing services and humidity control systems, our team can help you breathe the high quality air you deserve access to in your home. Let us know what’s bothering you about your air quality. Chances are we can solve the problem for you. An energy audit is a means of taking account of where your home is losing energy. But this is no simple test. It’s a comprehensive evaluation of several major areas of your household that are prone to losing thermal energy. During the energy audit, we will identify the parts of your home that you need to take action on. For instance, you may need to install or replace insulation, or have your ducts sealed. Whatever it is, our technicians will be happy to advise you. Your business operations are too important to risk with amateur services. When you need commercial heating, air conditioning or indoor air quality services in Fairview, you can rely on our team. We specialize in a wide range of installation, replacement, repair, and maintenance services. Our technicians are here day and night to take care of your rooftop AC unit, heat pump or IAQ equipment. Reach out to our team today for expert service! We have been helping customers throughout the Fairview, NC area live and work more comfortably for some time now. We can do the same for you. Call Comfort Central today to get the most out of your heating and air conditioning systems in Fairview.